Why is black ice so dangerous? Everyone’s been there at least once – it’s a just about the end of winter, and you’re out for a walk. It doesn’t look like there’s much snow left and even less ice, so you confidently stride along. Unfortunately, you don’t see the patch of black ice right beneath you, and you take a nasty spill that bruises your bottom as well as your ego. Just the words “black ice” conjure up images of frozen roads clinging to mountainsides and multiple cars spinning out at once. But what is it that makes this particular type of ice so dangerous? Winter has a lot of tricks up its sleeves to get you to go for a slip or fall, but with a little know-how and CareWell’s urgent care centers there to back you up, you can stay on your feet all season. This is what it looks like when black ice sneaks up on you. One of the first things you should know about so-called “black ice” is that it’s not actually black at all – it’s clear. In fact, black ice is so perfectly transparent that it assumes the color of whatever surface it happens to freeze upon. Because so many car accidents caused by black ice involved frigid highways covered in clear layers of the stuff, people naturally assumed it was black to match the asphalt. So what separates regular bluish-white ice from the black variety? It all has to do with the way it freezes. Under normal winter conditions, the ground is cold enough so that when precipitation hits it, snow, sleet and even rain immediately begins freezing. However, in some situations when the temperature is hovering around 32 degrees Fahrenheit, the ground is warm enough to actually heat the precipitation. This forces natural air bubbles out of the half-frozen droplets of moisture, which allows them to run together and form a blemish-free sheet of ice that appears transparent on top of any surface it covers. It gets worse, though – sometimes black ice can form when temperatures are above freezing. Wind can dramatically cool elevated structures, so any bridge with warm surfaces may be the perfect environment for a patch of invisible ice. 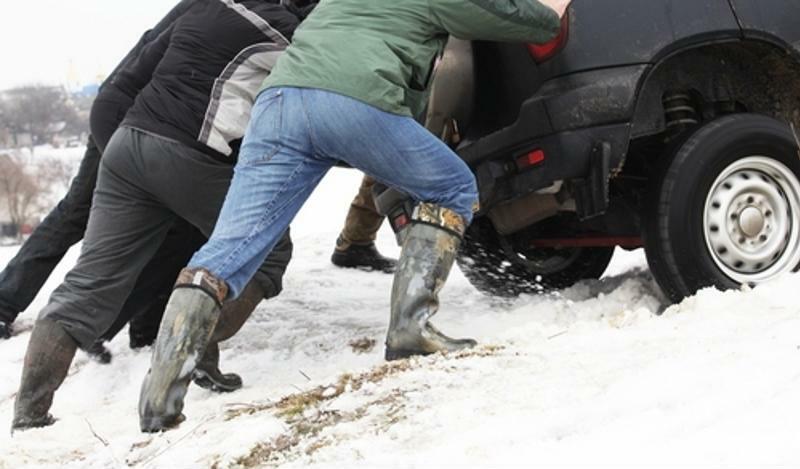 If – or when – you slip on a patch of black ice, it’s not uncommon to find that your shoulder, ankle, wrist or all three aren’t quite working they way they used to. If the pain is too much, your first instinct may be to go straight for the emergency room, but that might not be your best bet. According to the Advisory Board Company, the amount of time the average patient has to wait to see a doctor at an emergency room is considerably long – and getting longer. Most patients waited an average of 58 minutes in ERs in 2009, up from 47 minutes six years before. On the other hand, 65 percent of patients at urgent care centers only had to wait an average of 20 minutes or less to see a provider. It seem like an easy choice now, doesn’t it?